If you’re like many homeowners who have invested in a kitchen remodel, then new granite countertops may be the primary focal point in your new space. You’ve put a great deal of time and money into your new kitchen, so it’s important that you take the proper steps to protect it. In today’s post, we’ll explain a few ways in which you may be hurting your granite countertops. If you’ve been thinking about a kitchen remodel for your Newburgh home, then please get in touch with one of our kitchen design experts! From custom kitchen cabinets to the overall layout, we’ll gladly help you find the perfect products and design for your remodel. 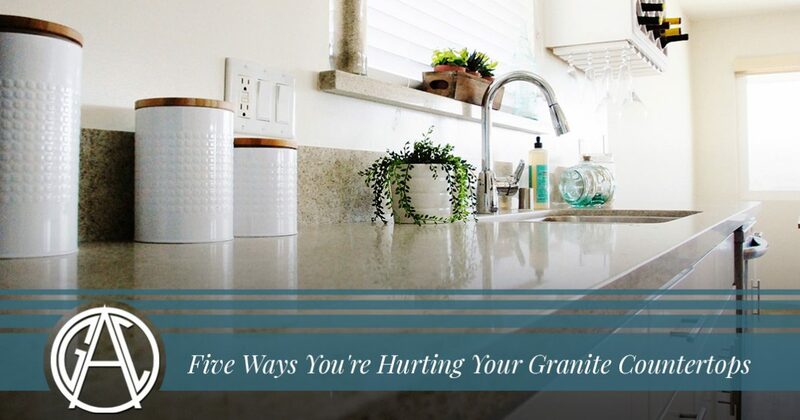 Read on to learn more about how you could be unintentionally hurting your granite! One of the most common mistake homeowners make with their granite countertops is believing that they can set hot pots and pans directly on the surface. Granite is a tough material, to be sure, and the fact that it is formed by heat and pressure understandably creates the conviction that it can withstand just about anything. However, you should get into the habit of setting your hot pans and pans on cooling racks or on the surface of your oven instead of placing them on your countertops. While the stone itself probably can take the heat, you need to consider that your granite sealant may break down when exposed to high temperatures. Further, hot objects can cause a phenomenon known as thermal shock to occur. 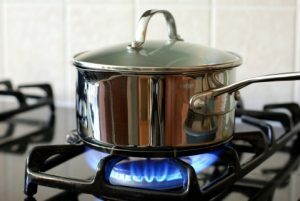 Thermal shock can result in heat rings and cracks, so invest in proper cookware, and always exercise caution in the kitchen. Allowing a spill to sit on your granite countertops is an easy way to cause unsightly damage. Even if you’ve simply spilled a small glass of water and wiped most of it away, the liquid can potentially penetrate the stone and cause the area to become discolored. 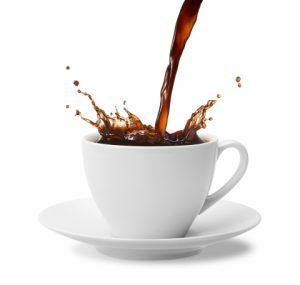 As expected, this problem becomes much worse if you spill a liquid that is darker in color, such as coffee or red wine. Always make an effort to clean up spills as quickly as you can. On a related note, always use coasters to prevent condensation from creating rings around your kitchen. As we alluded to in the previous section, you don’t want spills or liquids of any kind sitting on your granite countertops. However, certain kinds of liquids are more damaging than others, and acidic liquids are among the worst. Be wary of coffee, red wine, lemons, soda, and fruit juice in general. If you’re hosting your friends for a night of margaritas, then be sure that you protect your countertops and slice the limes on a cutting board! Speaking of cutting boards, it doesn’t really matter what you’re preparing — you should always be in the practice of using a cutting board. While it’s true that your knives probably won’t do too much damage to the granite itself, using the countertops as a large cutting board puts your sealant at risk of being damaged. You don’t want to miss a spot and leave raw meat juice on the countertop, so take the extra step and use a cutting board whenever you’re preparing a meal in your newly remodeled kitchen. You’ll probably be cleaning your granite countertops after you do any kind of food preparation, even when you use a cutting board. Be sure that you’re using a cleaning solution approved for granite, as many all-purpose cleaners contain harsh and harmful chemicals that could eat away and cause etch marks to appear on the surface. The last thing you want is for your beautiful new countertops to be damaged while you’re attempting to keep them looking brand new, so do your research and contact us for more information if you’re not sure about how to clean your new countertops. As granite countertop installation experts, we have extensive knowledge about how to clean them properly. We hope that this post will help you maintain your granite countertops. Affordable Granite & Cabinetry is proud to be Newburgh’s trusted resource for kitchen remodeling and granite countertop installation. We would love to help you make the kitchen of your dreams a reality – please get in touch with us using the button below to request a free quote!